*(Box Set Deal, Not Free) Capital Fleet: The Complete Ixan Legacy Series Box Set (Deal, Not Free) by Scott Bartlett. Price: $0.99. Genre: Military Science Fiction Box Set Deal, Sponsor, 3 Book Box Set, The Aliens are Back, Humanity might not survive this time. Rated: 4.1 stars on 30 Reviews. 736 pages. ASIN: B07NNWKC6J. *The Great Depression: A Novel by Tyler Turnbull. Price: Free. Genre: Dystopian Science Fiction, Sponsor, Dark Fiction, A Society Casted into a Primitive Darkness, a Land Bathed in Death. Rated: 5 stars on 5 Reviews. 254 pages. ASIN: B07QG75ZTK. *Fear: The Quiet Apocalypse by T. M. Edwards. Price: Free. Genre: Science Fiction, Dystopian, Post-Apocalyptic. Rated: 5 stars on 6 Reviews. 313 pages. ASIN: B07GCGC7N4. *Sleeping in the Stars (Marston Chronicles Book 1) (Deal, Not Free) by D. Patrick Wagner. Price: $0.99. Genre: Military Science Fiction Deal, Sponsor, Space Opera. Rated: 5 stars on 1 Reviews. 446 pages. ASIN: B07P7S2KHG. Please note: 2nd Book in Series, Walking in the Stars, just launched. Please take a look! *Dream Phaze – Germination (Deal, Not Free) by Matt Watters. Price: $1.25. Genre: Science Fiction Deal, Sponsor, Dream Immersion Technology meant to be a Medium of Entertainment, What could go Wrong. Rated: 5 stars on 1 Reviews. 195 pages. ASIN: B07Q2D4XNR. Get the eBook version here, please. *Shadow Life (Deal, Not Free) by Jason Mather. Price: $4.61. Genre: Science Fiction Deal, Sponsor, High-Octane Adventure set in a Deeply Layered near-future World of Complex Political Arrangements and Fascinating New Technologies. Rated: 4.5 stars on 20 Reviews. 306 pages. ASIN: B077BWJ3RS. Get the paperback version here, please. *Another Day, Book 1 (Delta Flight) (Deal, Not Free) by Terry Perrine. Price: $3.99. Genre: Military Science Fiction Deal, Sponsor, End of the World Starts as a Beautiful Day. Rated: 5 stars on 1 Reviews. 211 pages. ASIN: B07PJ57S19. Get the eBook version here at $3.99, please. Get the paperback version here, please. *After the Apocalypse Book 1 Resurrection: a zombie apocalypse political action thriller by Warren Hately. Price: Free. Genre: Post-Apocalyptic Science Fiction, Dystopian. Rated: 5 stars on 5 Reviews. 175 pages. ASIN: B07PHZCXDP. *Dream Phaze – Germination (Deal, Not Free) by Matt Watters. Price: $1.25. Genre: Science Fiction Deal of the Day, Sponsor, All he wanted to do was to dream for everyone. Rated: 5 stars on 1 Reviews. 195 pages. ASIN: B07Q2D4XNR. Get the eBook version here, please. *The Great Depression: A Novel by Tyler Turnbull. Price: Free. Genre: Dystopian Fiction, Sponsor, A Darkly Introspective Tour through a World of Unchecked Despair. Rated: 5 stars on 5 Reviews. 254 pages. ASIN: B07QG75ZTK. *(Box Set Deal, Not Free) Capital Fleet: The Complete Ixan Legacy Series Box Set (Deal, Not Free) by Scott Bartlett. Price: $0.99. Genre: Military Science Fiction Deal, Sponsor, 3 Book Box Set, Very well written Space Opera Science Fiction. Rated: 4.1 stars on 30 Reviews. 736 pages. ASIN: B07NNWKC6J. *Angel: Monster of Earth Book Two by Patrick F. Johnson. Price: Free. Genre: Adventure Science Fiction, Alien Invasion, First Contact. Rated: 5 stars on 4 Reviews. 247 pages. ASIN: B07959PKLG. *New Earth (Unlock the Unknown Book 1) (Deal, Not Free) by Michael Estafo, Sabrina Estafo. Price: $0.99. Genre: Science Fiction Deal, Sponsor, Genetic Engineering. Rated: 4.5 stars on 9 Reviews. 514 pages. ASIN: B07P9ZDBM7. *500 Science Fiction and Fantasy Writing Prompts by Julie Wenzel. Price: Free. Genre: Science Fiction, Writing Skills. Rated: 5 stars on 5 Reviews. 139 pages. ASIN: B01GZ9X5XS. *Immortal (Deal, Not Free) by Nick M Lloyd. Price: $0.99. Genre: Science Fiction Deal, Sponsor, A Message from Space that a Colossal Gamma ray will engulf the Earth, But there’s no proof. Rated: 5 stars on 7 Reviews. 422 pages. ASIN: B07NKRY852. *Sleeping in the Stars (Marston Chronicles Book 1) (Deal, Not Free) by D. Patrick Wagner. Price: $0.99. Genre: Science Fiction Deal, Sponsor, Ex-Federacy Fighter Pilot, Current High-Value Transporter, Daughter of an Interplanetary Ambassador, a Cat Burglar. Rated: 5 stars on 1 Reviews. 446 pages. ASIN: B07P7S2KHG. Please note: 2nd Book in Series, Walking in the Stars, just launched. Please take a look! *Shadow Life (Deal, Not Free) by Jason Mather. Price: $4.61. 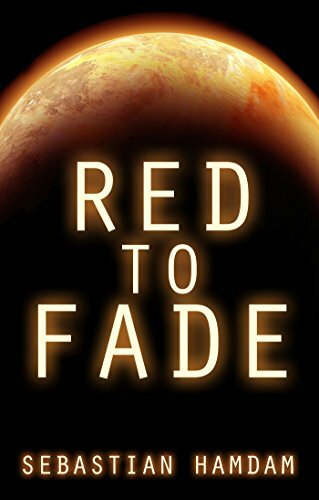 Genre: Science Fiction Deal, Sponsor, Excellent Book, A Real Page Turner. Rated: 4.5 stars on 20 Reviews. 306 pages. ASIN: B077BWJ3RS. Get the paperback version here, please. *(Free for Kindle Unlimited) Wild Hearts: The Coming Night (Deal, Not Free) by Andrew Wichland. Price: $2.99. Genre: Science Fiction Deal, Sponsor, Last stand for Earth, Alien Invasion, Space Battle. Rated: 4.5 stars on 6 Reviews. 145 pages. ASIN: B07F43CY3F. Get the paperback version here at $9.89, please. *(Free for Kindle Unlimited) MY CELL PHONE CAN THINK, A Textbook on Artificial Intelligence (Deal, Not Free) by Michiro Negishi. Price: $2.99. Genre: Simple Guide to Artificial Intelligence Deal, Sponsor, Technology Non Fiction, Guide to AI. Rated: 5 stars on 3 Reviews. 146 pages. ASIN: B07JBHWCVC. Get the paperback version at $19.99 here, please. *Another Day, Book 1 (Delta Flight) (Deal, Not Free) by Terry Perrine. Price: $3.99. Genre: Military Science Fiction Deal of the Day, Sponsor, Delta Flight are unprepared for their Alien Enemy, Now they must survive in an Alien Environment, while coping with Technology beyond their Wildest Imagination. Rated: 5 stars on 1 Reviews. 211 pages. ASIN: B07PJ57S19. Get the eBook version here at $3.99, please. Get the paperback version here, please. *The Other Side of Now (Deal, Not Free) by Max Meyer. Price: $2.99. Genre: Science Fiction Deal, Sponsor, Who controls the future, What will tomorrow look like. Rated: 5 stars on 1 Reviews. 325 pages. ASIN: B07QDJR8QQ. See the author’s website here. Get the paperback version here, and the eBook version here, please. Colonization by Scott McElhaney. Price: Free. Genre: Science Fiction, First Contact, Space Opera. Rated: 4 stars on 8 Reviews. 523 pages. ASIN: B01607KMNG. *The Jovian Run: Sol Space Book One (Repeat) by James Wilks. Price: Free. Genre: Hard Science Fiction, Adventure. Rated: 4.5 stars on 33 Reviews. 394 pages. ASIN: B01AUMGFDS.